The Berkeley Co-Op sprang from two groups. 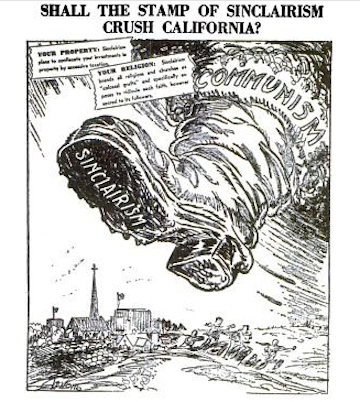 One was the Berkeley Cooperative Union, an organization within Berkeley’s Finnish community. 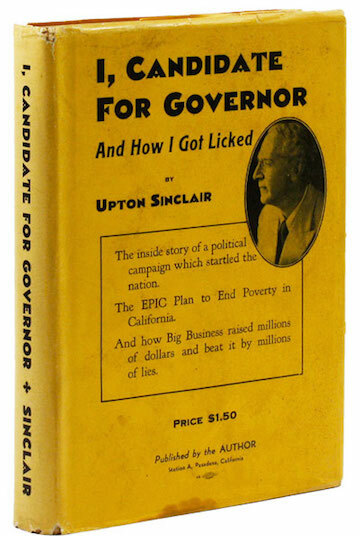 The other was the Berkeley Buyers’ Club formed by the Berkeley EPIC Club, an outgrowth of Upton Sinclair’s 1934 run for governor of California. 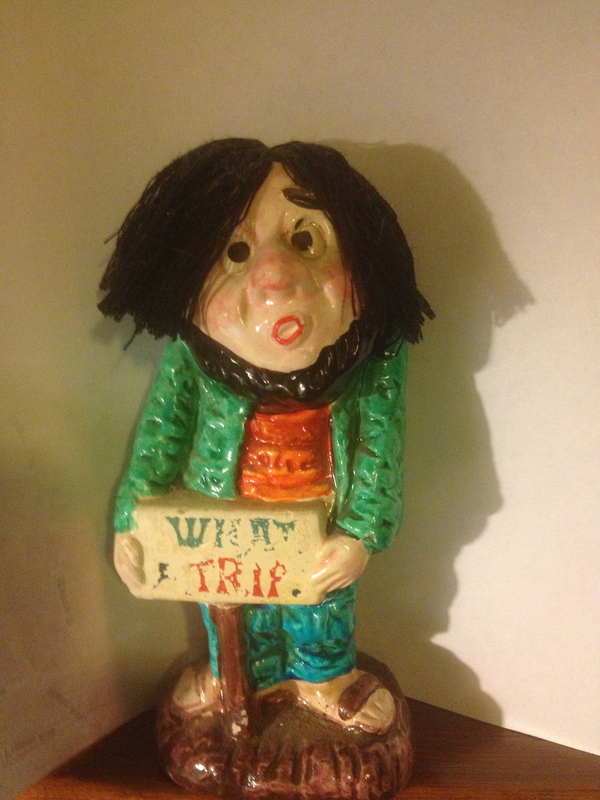 As every schoolboy knows (not! 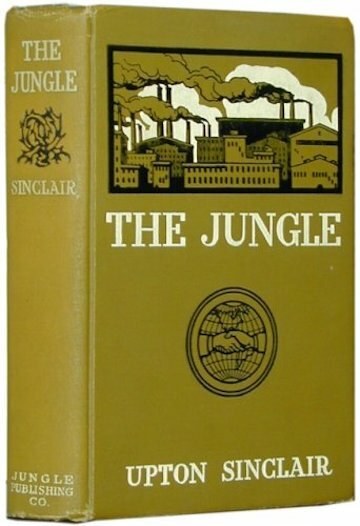 ), Sinclair started off as a muckraking author. 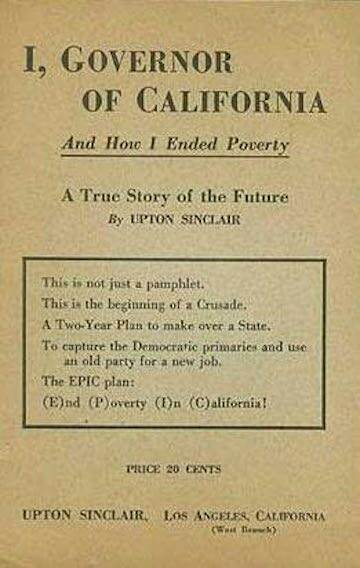 He ran for office as a socialist and didn’t do well. He then came to the conclusion that the American people want socialism, they just don’t like the name. 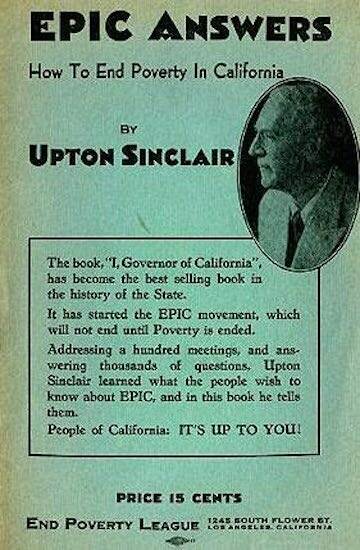 So, in 1934 he ran for governor as a Democrat. 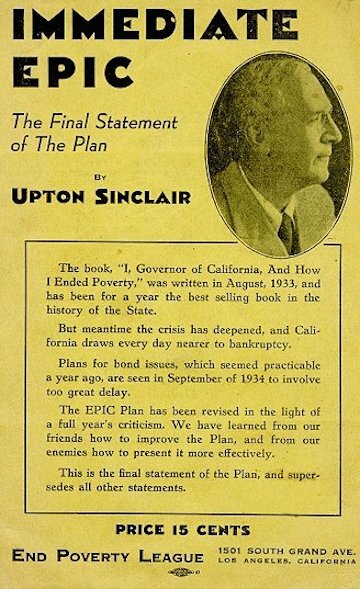 His campaign was built around a program to End Poverty in California – EPIC. He believed in the written word. He wrote as if it mattered. 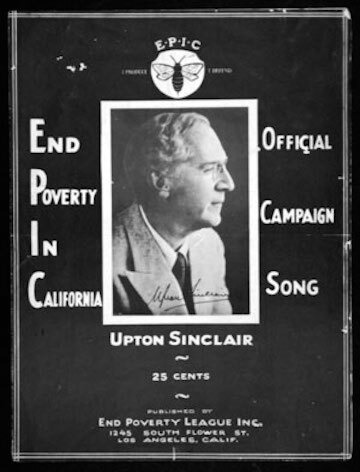 As progressives of that era were inclined to do, he had campaign songs. 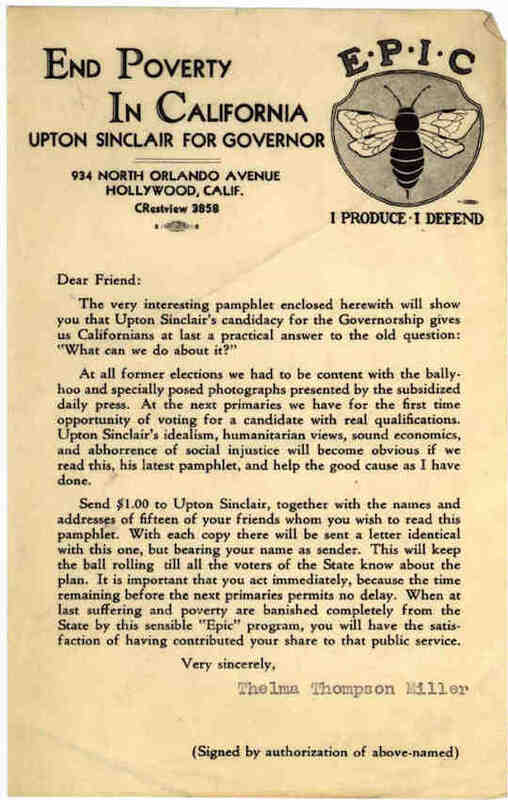 Actually, this was an era when not just progressives had campaign songs. IBM had a songbook that is unbelievable today. The powers that be red baited Sinclair something fierce. He made a final statement. And then lost the election. He got almost 38% of the vote. 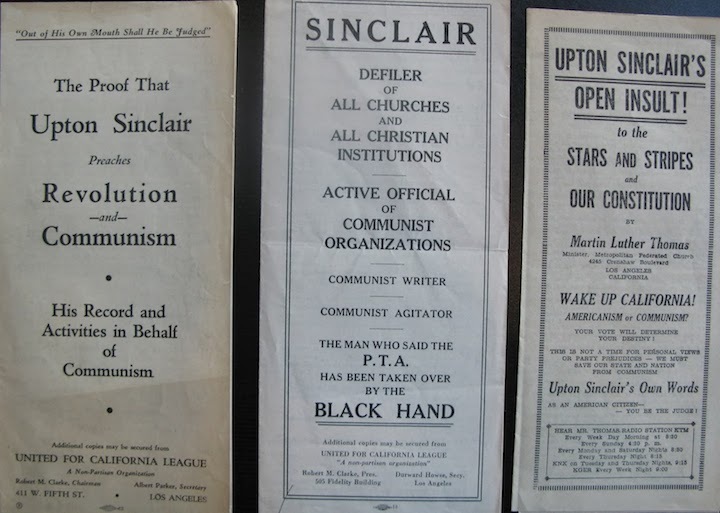 If the votes for the Progressive, Communist, and Socialist candidates had gone to Sinclair, he would have won. Republican candidate Frank “Marbletop” Merriam won by moving towards the center. The EPIC clubs didn’t last long, but the Berkeley chapter lasted long enough to launch a 50-year experiment in the cooperative grocery business. 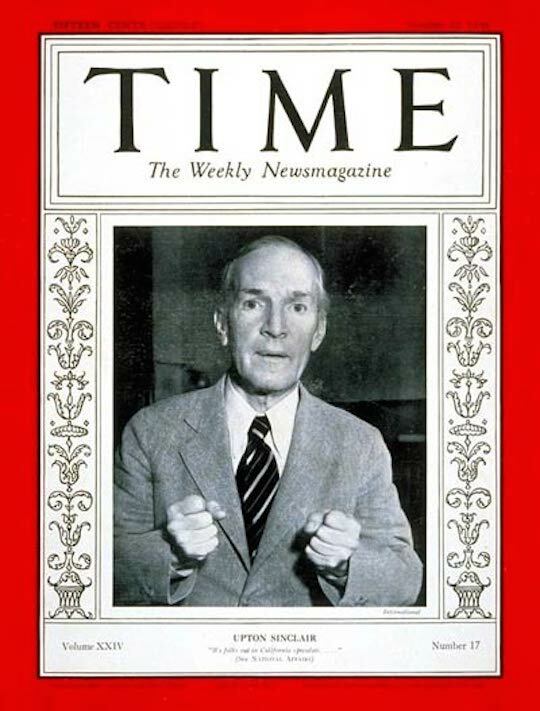 My friend “digs” Upton Sinclair and digs the history of Finntown, Berkeley (my friend used to buy drugs – long ago – from a Finnish dealer who worked the midnight shift at a gas station on lower University Avenue). He – my friend not Sinclair – was curious about the IBM songbook and so wrote Gabby to find out what Gabby knew about it. Chances are Gabby will know something about it. 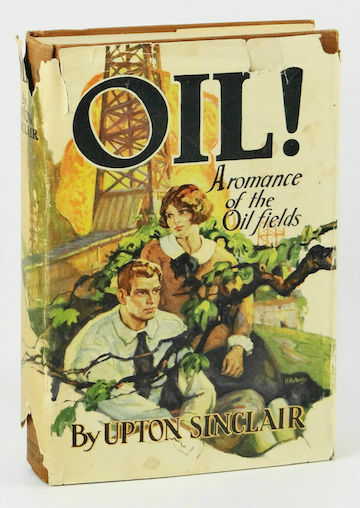 But what about this EPIC ephemera and literature?